It is formulated to provide the moist wound environment necessary to the natural healing process after hair transplant. Iamin Gel is a soothing, translucent blue color - due to its patented tripeptide-copper ingredient, GHK: Cu. 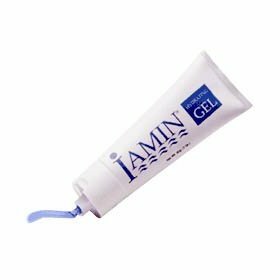 Formulated in an aqueous base, Iamin Gel has been scientifically shown to provide a moist wound environment to complement the body's natural healing process. Unique, soothing, Iamin Gel - the only wound dressing that offers a patented tripeptide-copper delivered in a soothing hydrating gel. Indicated for acute and chronic wounds, including pressure sores, diabetic, venous, or mixed etiology leg ulcers, minor burns, donor sites, traumatic and surgical wounds. Supplies copper, an essential micronutrient. Attracts macrophages, monocytes, mast cells and capillary endothelial cells - to enhance natural wound inflammatory activity.